The Project Lead, Disability Workforce Innovation will be responsible for delivery of this major DHHS funded project, which seeks to contribute to efforts to address market and workforce challenges faced by the disability sector in regional Victoria. This will involve active leadership and support for the project team of four regionally based Disability Workforce Innovation Connectors (DWICs) to ensure they are each well supported with relevant information and material in order to: connect with local disability workforce stakeholders; identify local workforce priorities; leverage existing workforce resources and tools; facilitate workshops; work with and coach grant applicants and recipients; and, critically, promote and embed good and innovative workforce practice. The Project Lead will focus on identifying and encouraging innovative responses to disability workforce and market challenges. The Project Lead will be responsible for synthesis and reporting of information on local workforce priorities, contribute to identification of appropriate responses and resources to address concerns, and promote good and innovative workforce practice. The Project Lead will also establish and maintain close liaison and coordination with statewide stakeholders as well as other relevant NDS activities, in order to enhance the impact of the DWIC project. The Lead will identify and pursue opportunities to increase the impact of this project, through leveraging of concurrent activities, and effective promotion of project outputs. Maintain expert knowledge of disability workforce and market issues, particularly relating to regional areas; and of innovative and effective resources, tools and initiatives available to support services to address these issues. Synthesise and analyse complex sector intelligence and data regarding workforce and market issues, and identify and promote potential innovative strategies to address such issues. Develop and prepare written reports and briefs, promotional material and proposals for consideration by diverse stakeholders. 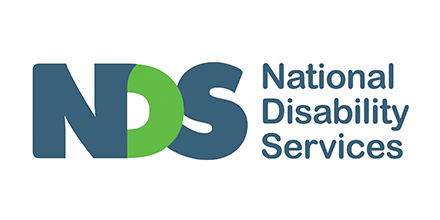 Pro-actively support strategic relationships and facilitate connections between an array of stakeholders including disability service providers, people with disability, their families and carers, RTOs and universities, peak bodies, and government representatives. Identify and pursue opportunities to leverage existing or concurrent NDS resources and activities to enhance impact of DWIC project. Develop and deliver presentations to disability services and other stakeholders. Manage administrative, contractual and financial aspects of the project in accordance with NDS Guidelines and in conjunction with the Corporate Services team; and oversee ongoing monitoring, evaluation and reporting on the project. Superior and demonstrable subject matter expertise on workforce issues, including knowledge of issues arising in the context of the NDIS, and in regional locations. Demonstrated experience in a role requiring conceptual and analytical skills, strategic thinking, problem solving and ability to synthesise complex information, preferably in a human services setting. Demonstrated experience in leading and management of staff, and an understanding of coaching and how it can contribute to project success. Strong interpersonal, communication and stakeholder management skills with the ability to consult, negotiate effectively and develop and maintain networks with a diversity of stakeholders. Demonstrated ability to verbally present material in an engaging and effective manner, facilitate workshops and lead on development of cohesive initiatives involving multiple stakeholders. Demonstrated ability to write clear, cogent and timely reports on complex matters; and to develop presentations and other communication material, attuned to the needs of differing stakeholders. High level project management skills and proven capability to deliver complex projects on time, within budget and to a high quality standard. Tertiary qualifications in a relevant discipline. Please quote in application: Project Lead, Disability Workforce Innovation (VIC) via Pro Bono Australia.